Youth Coaching in MSW is split into two groups the Go-Ride and the Youth Development Academy for dates of sessions check the calendar. As well as joining the club details on the membership page, you also need to complete a Rider Information & Coaching Consent Form and hand to a Club Welfare Officer or the Head Coach before taking part in any youth coaching activities. Go-Ride provides the first step onto the BC Performance Pathway – over 60% of riders on the Great Britain Cycling Team started out at Go-Ride Clubs. Who: Young cyclists who are able to balance and pedal a bike unaided. Need to Know: This is a Sports Village session supported by MIDS coaches please pay at the main desk of the Sports Village. Bring a drink and suitable clothing for the time of the year don’t forget your bike & helmet! Additional Sessions – See Calendar Page for full details. Tuesday 1900-2000 Family Open Session (Under 8 accompanied by adult). The end goal of the Youth Development Academy would be to help deliver skilled young athletes into the British Cycling Pathway and onwards into the BC coaching system. Youth development is about an individuals motivation and enthusiasm , so the aim of the coaching is also to develop young riders to be equipped with the skills and confidence to race, join club runs or just ride with their friends – Riders will be expected to have a certain level of fitness and confidence on the bike which is attained through the Go-Ride Programme. These sessions are coach led racing run by coaches from both MSW and other clubs, these sessions will build on the riders talent and will be by application from riders or invite only of the club coaches from the A, B and C Riders based on the individual riders ability. Who: Riders who have progressed from Go-Ride and are committed to being coached. Need to Know: Invite by Club coaches. Session to paid for at the track. Be prepared to listen and work hard. 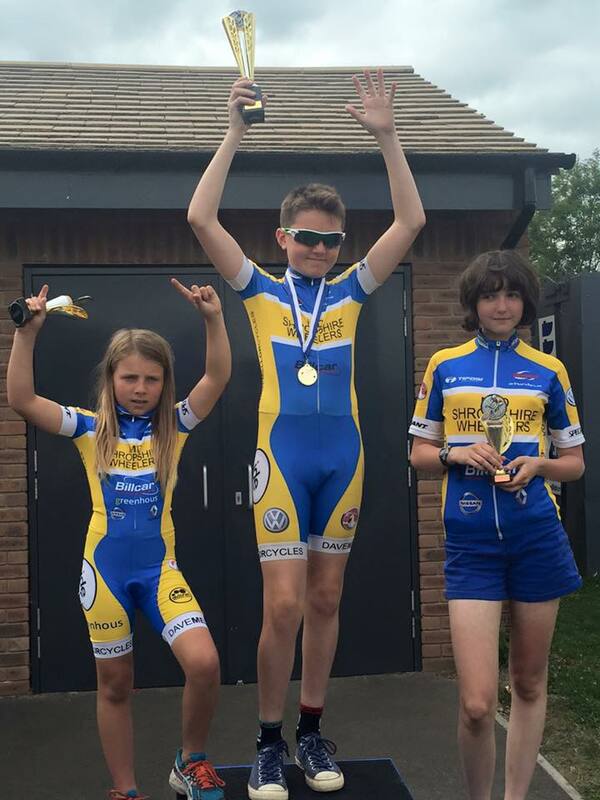 Road & Circuit – The Youths regularly take part in the Summer Circuit Races at Shrewsbury Sports Village, West Midlands Youth Series and National Events. MSW regularly have youths on the podiums at both the West Midlands and National Events. Cyclocross – Winter means CX for many of our youths, training is held in the week and participation is in the West Midlands CX League. Many youth bikes are suitable for fitting nobbly tyres (Islabikes particularly) and the club also have bikes that can be purchased. Velodrome Sessions (Track) – Trips are arranged throughout the year to either Derby or Manchester which prove very popular with budding Trott’s and Kenny’s. For general questions please make use of the Facebook message system which is monitored by several committee members and may achieve a faster response through mobile phone Facebook App – Ask a question on Facebook here.